Thanks everyone for the Birthday Cake! We had ten parents attend the Northhills PSST today! Instead of just performing one or two role-plays we got everyone involved in a group exercise role-play. I was the teenager for everyone. We did a lot of clapping as I went around the circle because all of the parents did a great job handling my whiny "I don't see why I'm on Probation" spiel. Scenario: Teenager is acting out, having a tantrum because her car broke down. Mom: You know, if If my car broke down I'd be mad too. In fact, I'm mad anyway cause if your car is down, now I have to share mine. Mom: I really just want to apologize to you right now. Teen: What are you talking about? Mom: Well, all these years, since you were little, we have been reacting to your temper tantrums. And we "get it" now that what we were doing is training you to have temper tantrums. Dad: Well, you would start throwing things, putting holes in walls, screaming or whatever- and we would both look for ways to make you feel better. You know, we would give you things you wanted or promise you that if you calmed down you could have treats, toys, or special privileges, so that you would stop the ugly stuff. Mom: But all that did was teach you that having tantrums is a good way to get stuff and to get privileges. Dad: Yeah, I agree with your mother, we're sorry we did that- I'm sorry I did that- but I've changed, and I can't do that today. Mom: Yeah, we both have changed. Dad: We can't go back and change anything we did, but we can make sure we don't do it anymore. Mom: So, go ahead and tantrum if you have to- but it's not going to fix anything or make anything better. Both parents walk away- in this case teenager stops tantrum. Of course, that's not going to work that effectively in every situation - but it does several things extremely well. 1. Parents model taking responsibility. The parents put the focus on their role rather than on their daughter's role in the whole thing. The parent's model responsible behavior and at the same time they minimize the potential defensive-response from their daughter because the initial focus is not on the daughter. 2. Parents pay attention to what is the pattern or dynamic, i.e., teenager has tantrum and historically they reinforce that tantrum. 3. Parents clearly give the teenager permission to have the tantrum- (that is just taking ALL the fun out of it) so that it does not become a "control issue." 4. Clarifies- that there will be no more rewards for tantrums; parents will not engage in "How to make the teen feel better game." Parents state their intention to consistently refuse to reinforce that behavior. It's kind of like saying "the party's over." 5. Bonus: In the beginning of this role-play, Mom does a bit of "active listening" to set up the whole exchange. Active listening is often essential and Mom's statement that "I would be mad too if it happened to me," followed by the "I statement," "in fact, I am Mad now because now I'll be sharing my car with you," is priceless. This is a good example of (1) Active Listening followed by (2) Joining with the talker. This captures the person's attention so that they can hear what it is that you have to say. 6. Parents make their point and then walk away. Any prolonged intervention at the point of the tantrum continues to reinforce the tantrum because attention is the most powerful reinforcement. Coffee House Nation (sober-fun club) receives 20 Steeler preseason tickets! The Steeler's have donated 20 tickets to Coffe House Nation on short notice for this Sunday! We ended up with 13 parents at our recent PSST. Even with all of us at the table (this is the one meeting where we actually meet around a table) we were able to hear something from everyone. We also welcomed four first timers to our group. We haven't posted a role-play for sometime now. Let's call this one Regaining Parent Power. The Scenario: 16 year-old daughter is in a temporary psychiatric placement after her release from Shuman. She went to Shuman after assaulting her step-father. Her assault case is pending in Juvenile Court, he has been assigned an Intake Officer, and her parents have attended one PSST, at which time they found out that if a child is out-of-control and pending in Juvenile Court, the parents can request that a Walk-in Detention Hearing is held at Shuman Center. Girl: Get me out of here. You have no idea what it is like to be in a place like this! M: I'm sure it's not fun here honey. Girl: No! Have you ever been admitted to a place like this? Girl: Have you (looking at SF) ever been admited to a place like this? Girl: See! And it's your fault (looking at SF) that I have to stay here. Girl: Yes, you told me to hit you! SF: Yes, you're right. I said "if you had to strike someone, hit me, not you're mother. Girl: Well I did what you said, so why am I in here? M: You can't assault people honey no matter what they say. Girl: Ok, I won't now let me go home- I learned my lesson- No you stop (cutting off a response that M was attempting to make) I have to get out of this hell hole - you can't keep me here against my will. M: We came here to tell you what we have decided. Girl: Tell me in the car on the way home- I don't give a sh*t what you decided anway. What do I care about you two? Decide away- just GET ME OUT OF HERE! M: Well that's the thing that you aren't going to like. Girl: What do you mean now? Do I get to go home or what? M: We would like to explain what's going on- but you seem so upset- I'm not sure this is a good time to tell you and there's so much to tell you that has been going on- (looking at her husband) I'm not sure where to start. SF: (also looking at mother now, not at Girl) I know I guess we'd have to start at the beginning, but I'm not sure this is a good time to tell her either- she seems to be ready to flip out again. Girl: Whaaaaaat are you two talking about- oooooooo God I hate dealing with both of you- you are such morons- tell me what you are talking about- tell me NOW! M: Ok, but not unless you agree not interrupt us- there is too much to tell if you are going to interrupt us though the whole thing. Girl: Ok OK OK OK - just tell me. M: (returns stare for a minute- then swiches to looking at her husband) what do you think honey? It's your call. SF: (looking at his wife) I think you handled that pretty good honey. Why don't I start. SF: We told the Intake Officer that we wanted to do this- but we know that it's going to really really make you mad. Girl: What's an Intake Officer? M: The lady that is scheduling your case before a Judge. Girl: HE IS NOT MY DAD! M: Fine. For assaulting my husband, is that better? Girl: He said to hit him so I hit him, kicked him, and bit him. That seems fair to me. M: Well, you will have an Attorney and he can help you convince the Judge of that. Girl: Ha ha. You think you are so funny don't you? M: No- I don't think any of this is funny. (looking at SF now) Do you honey? SF: OK, try not to interrupt? SF: Like I said- you are going to be pretty unhappy with us- but we want you to know what's going on. But listen. If at any point, this information make you so angry that you feel you are going to flip out- just get up and go back to your room, right honey (he looks at M) it's ok if this is so upsetting that she needs to just get away from us. M: Of couse. We really don't want to upset you honey but we have made up our minds about some things is all. Girl: what is making me mad is younz not telling me- that's what I'm about to go postal on you both for- so get on with it. SF: We admitted to the Katie Jones, that we can't controll you. That's the main thing. M: Right- that's a good place to start- honey, we haven't been able to controll what time you come in- where you go- or who you hang with for some time. Girl: So what- that doesn't make me mad. SF: Katie agreed with us, that having a Walk-in Detention Hearing is a good idea. So, when you get out of here- you will go to Shuman Center to have a Walk-in Detention Hearing. Girl: What? What kind of sh*t is that? SF: When you have charges pending, then in Juvenile Court you have to be under someone's control up until the hearing- but your mother and I can't controll you. Girl: What's going to happen at the hearing. M: One of two things. Eigher you will be released home with us until your hearing, or you will be detained at Shuman. Girl: You can't be serious. Girl: I'll get you both for this. M: Is that a threat? Girl: Does it sound like one? Girl: Ok, then if it walks like a f**$&*g duck, then MOM it's a f**$&*g duck! M: Thanks. I'm glad you said it that way. M: Because it makes things clear. It make our point for us doens't it honey (looking at SF). SF: Yep- it's hard to say you can control someone who threatens you, especially after they have already assualted you. Girl: You told me to do that! SF: Right, this is what we need to agree on before you come home. Girl: I'm done with both of you get out of here- now! M: (Standing up) OK, I know you are angry, we can talk about this some other time. SF: Yes, we will talk about this again. Girl: Wait. Leave the paper. Girl: I see what's going on- you two want to get rid of me dont' you? M: We want you where you are safe and unless we come to some understanding- that is not at home. Girl: Just say it. You want to get rid me so you dont' have to deal with me. Right? M: Yes, OK, if that is what it takes to keep you safe- then yes, that is what we want, right honey? SF: Right, we know we can't control you. At 16, you have to go somewhere else where you will have supervision- apparently it's not with us- but just for the record- I wish we could work things out. SF: Nevertheless, this is what we told Katie Jones, and she agreed with us. Girl: (looking at contract) What if I agree to all this sh*t? Why can't I just come home? Give me one good reason why I can't just come home? SF: Because you probably won't agree to this contract. Girl: Why do I have to agree with this? M: Because we said so. Girl: That's not good enough. M: Regardless, this is the deal- you can take it or leave it. Girl: (Gritting teeth- jaw jutting out) and if I agree to all this? SF: If you are sincere, we will give it a try. M: Yes, we'll try it again if you think you can live with these rules. No, there’s really not a recognized syndrome by this name….but maybe there should be! 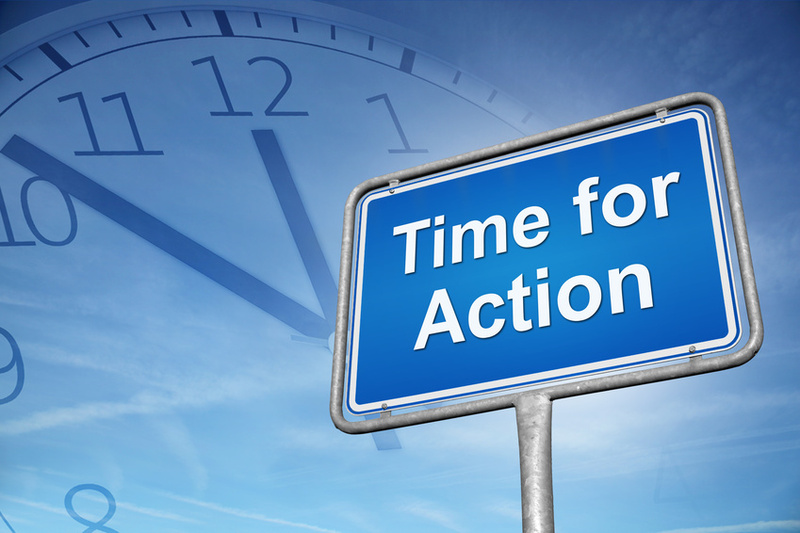 Families of loved ones who struggle with a member’s addiction issues operate on adrenalin for months, and even years, as crisis after crisis is discovered, addressed, endured, and moved toward resolution. Every imaginable threatening circumstance is on the list of potentially devastating outcomes…from loss of life due to overdose, violence at the hands of drug dealers, criminal charges resulting in incarceration, financial loss and possible ruin, mental and physical exhaustion, fear, depression, dashed hopes, societal contempt and isolation….to name a few. But what happens once the road begins to straighten out? . . .
What happens when the crises have passed, the outcomes are known, and genuine recovery is underway? How do we return to a normal life where the sight of a police car does not emote a feeling of dread, where a ringing phone is welcomed rather than feared, where we can actually lose something without fear that it has been stolen, where we can leave our keys on the table, our checkbooks and wallets on the dresser at night, and feel confident, secure and happy as we go about our daily lives? And how much time must pass without crisis before we really believe that life has returned to normal? Drawing on my own life experiences, I have concluded that it is possible to be restored to normalcy after a number of years under great stress; however, “normalcy” needs to be redefined. Following my service with the Marine Corps, during which I spent a year in combat, I was able to transition back to civilian life quite quickly with very few symptoms of post-traumatic stress…..but my life had been forever conditioned to the “fight or flight” fears that had been so deeply imbedded in me from that year of constant danger and trauma. “Normal” for me when I came back home meant that a loud noise would only terrify me for a few seconds; the sight of an Asian American would only momentarily cause me to bristle and go into defense mode; life and the pursuit of happiness took on a whole new meaning; I appreciated my freedom and the security of our civilization at a whole new level; I learned to appreciate and celebrate every day of my life with optimism and appreciation. I was one of the lucky ones. “Normal,” though, had changed. My new “normal” didn’t look much like my pre-combat “normal,” nor has it ever looked like that in the 40+ years that have passed since that trauma so deeply impacted me. Likewise, I am convinced that a return to normal is possible for the families of loved ones who have struggled with addiction. As with my pre-combat vs. post-combat experience, though, “normal” will never again look like it did before the addiction and its associated stress entered the picture. Our senses will have been sharpened and our knowledge of the issue will have deepened. The addiction and all of its associated trauma will always be in our minds, but not necessarily “top of mind,” once a genuine recovery is working its magic. Time is the most influential element in our return to “normal” and it is also the most difficult to quantify. How much time without trauma must pass before we are comfortable allowing other life issues to dominate our thoughts and actions? How long must we wait before real FUN enters our lives again? When will it be ok to go into a deep and relaxing sleep at night, feeling confident that no horror will occur and that our slumber won’t be interrupted? How long before a routine telephone call from our affected family member elicits joy instead of concern? At what point do we transition from receiving support from other affected families to providing support? These are all very difficult questions to answer except to say that it is different for everyone. In our family’s case, the absence of crisis is about to enter its third year, our son’s recovery appears to be genuine, and we have indeed returned to a more normalized life. Did it happen after two years? Or one year? I’m not sure when we hit the pivot point, but I do know that we are happier now than at any time in the past ten years. We have successfully “returned to normal” with its new definition. We survived. -We still react with a nanosecond of panic when the telephone rings. -We feel a very brief moment of apprehension when we see a police vehicle on patrol in our neighborhood. -We occasionally doubt our son’s word, even when he’s telling us the absolute truth. -We overlay our son’s name on the names of the characters in drug-related news stories and shudder to think that it could be us who are dealing with whatever tragedy has been described. -We consider Bridge To Hope family support group to be an important part of our lives and feel compelled to help others find hope, encouragement and ultimate success in the recovery process while we continue to receive benefits for ourselves. -We acknowledge that relapse could occur at any moment which never allows us to totally drop our guard. So how did our family get to this point—this point of normalcy? Time passed, recovery started, crises ended and peace and tranquility were restored to our family. Underlying this progression of events was a resolute faith in God and His plan for our lives, inspiration and shared experiences through the Bridge To Hope family support group, an unrelenting positive attitude, tenacity, cessation of enabling, an effective rehabilitation program (Teen Challenge), and an unconditional love for our son that never wavered. Ten years ago, recovery (a return to “normal”) was the goal and today it has been achieved. The journey was arduous and at times seemed impossible to navigate, but the proverbial light at the end of the tunnel was visible all the way. Today, having emerged from that tunnel into bright sunshine, the flickering light that was so hard to see a decade ago has blossomed into an awesome landscape of possibilities, opportunities and happiness. I believe that the old saying, “Time heals all wounds,” is true for the most part. What we must remember, though, is that even healed wounds leave scars. The same is true with our return to normal….the burden will be lifted, joy will return, life will go on…but the scars of our trauma and the determination with which we confronted it will be with us forever. It would be naïve for us to believe otherwise and it would be unrealistic to expect “the perfect life” after what we have been through. The good news, though, is that it really is possible for us to recover from this stress and to lead happy, productive, fulfilling and “normal” lives once again! What I accomplished by attending psst meetings by Robin. "What I hoped to accomplish by attending psst meetings was to develop some coping skills to deal with the constant battles my son and I engaged in. It became so frustrating finding myself constantly arguing, gritting my teeth, throwing and often breaking things to the point it was literally damaging my health, and I'm certain it wasn't good for my son either. Although I haven't made as many meetings as I would like, the ones I have attended have helped me more than I can even explain. "By listening to other parents (who all share similar problems) and by role playing (which is always quite funny) I have learned unique ways of cutting off a confrontation before it ever has a chance to get off the ground. What I didn't expect was the calming effect it left on me afterwords. Yes, the arguing has just about stopped in my home, because I have learned to change the way "I react." Role playing with other parents and acting out your teen can be so funny, (but always totally voluntary). But when you bring this home alone and get a chance to use what you have learned, it is so rewarding. "What would have been a big blow-out, now feels like a small victory for me. Instead of walking away with clenched teeth and high blood pressure, I often have a hard time holding back laughter. So not only do I deal with difficult situations better, my stress level has been cut down to near nothing! Thanks very much for sharing Robin. Your comment means a lot to us. We would like to hear from as many parents as possible. What has PSST helped you accomplish? What has the group meant to you? Please share your comments about PSST here, or if you would like email lwoodward@court.allegheny.pa.us with your comments and I will post. Each comment is priceless and may help other readers decide to take in a PSST meeting. I was so surprised to see a Nevertheless Birthday Cake today! What a wonderful surprise and a perfectly stunning and delicious cake. Yummmmm. And boy did that cake go fast. I had one piece left to take home to my very cake-critical wife, and she even said it was compellingly delicious, including the icing. Very moist- it was just so good and it's a toss up between this one and her regular bakery, which is the only place she ever buys from. Those of you that know me, know that I was easily as excited by the appearance. 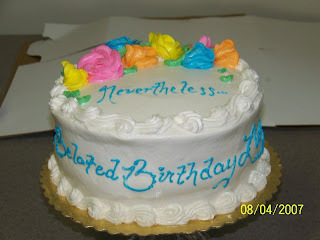 Who thought of putting one of my favorite words, "Nevertheless" on my cake is a genius! Thanks a Million! I was thinking- "Wow- the Power on the Cake! Speaking of power, boy could I feel it at the meeting today! Today, we had three new parents. Our veteran parents really reached out to the newcomers and shared a message of hope and optimism. Yes, it can be a long fight- but things do indeed get better as time goes on. Several parents shared a testimony of how our recommended techniques work to help deescalate arguments, avoid distractions, and keep us in control. The technique that seemed to get a lot of attention today was Agreeing With And Adding Your Own Twist. "Yes, you are right, I do want the Court to place you because as long as I can see that you might hurt yourself with drugs and criminal activities, I will always want you in a safe place." Or "Yes, you know, maybe you can't trust me- Nevertheless, I"ll change my mind and whenever I get new facts to take into consideration. In fact, probably the only thing you can trust about me is that I will always act to keep you safe if I think you are in some kind of danger, and if that means calling the police, your Probation Officer, or your school- then I'll do it even if it means I've changed my mind about things." Anyway, it was a good meeting, a nice role-play albeit the juvenile portrayed was a tough nut, but with all the help of everyone in the room, we came up with a good plan. And boy that cake was great! Time really does fly by, don't you think? In no time at all, our situations will have completely changed. Our teens will no longer be teens. We will be significantly older. And all the memories that we are making now will be just that- memories. Recently, I turned a year older. These last few years, I have not enjoyed seeing the next birthday come. I think I'm just way to old to want to be a year older. This year for me was different. Maybe I am over the hump now and another year just doesn't matter. When you are my age its' like if you are really dirty, covered in mud, and wet down to your bones, and you see a mud puddle coming up. Why even walk around it? With all the dirt I got on I figure I'll just walk right through. Maybe another birthday just doesn't matter if you are already in your late fifties. What's one more? On the other hand, maybe that's not it at all- forget the mud analogy. Maybe it was all the gratitude talk at that meeting two weeks ago that did it. Anyway, I felt grateful for this birthday. It means that I got to enjoy another year on this earth. That's not something that is given out to people each year. Some of us will never get another year. For some of us- our time has run out. And as I mentioned on the Coffe House Nation blog, I felt Jessica B's presence at the Pirate Game. The empty seat was next to her closest friend. And she was only 18. And she will not be around another year. It's just hard for me to regret getting one more year older, when that intelligent, beautiful talented young lady will never see 19. So, lately I think I have been thinking a lot about my blessings. About my grandchildren for example. And about my grown up kids. And about my family. Don't get me wrong- I have regrets- but they don't really seem as big as they did last year. Of course, we want our teenagers to be grateful. It's important. For one thing, look at all the damn stuff we do and we did for them! They ought to be grateful! They owe us that, don't they? And secondly, we know if they loose their gratitude, they can't stay clean. So, we get scared when they show this sense of entitlement- that the world owes them everything! Just because. Just because we brought them into this world I guess. But where do they get off with that sense of entitlement anyway? Where did they learn it? Who did they get that off of? TV? Friends? Drugs? Wonder if they get any of it from us? You see, many of us have that sense of entitlement too. We have it when we face our kids. "After all I've done for you- you do this to me?" For example, when a teen relapses, this is often what parents say or at least think to their kids. I wonder sometimes if it would be easier to have a oppositional defiant child who grows up to have many issues including drug addiction or if it would be easier to have a Downs syndrome child who lives to teen years. Either condition can lead to fatality at an early age. Both conditions must cause a lot of stress on the family. Apples and oranges? Perhaps. But I think for some people, the Downs baby would be easier even though it would in so many ways be more heart-breaking. The difference, I think, is that a parent would know that the Downs baby did not choose to be that way. They are innocent. But the drug addict- he chooses to hurt his family, the same family that has given him so much and sacrificed so heavily. He can go on to live a normal life - but he chooses to be a drug addict. So, I don't have an answer to that one. I know, I know, I have the radio shack reputation- you got questions- Lloyd has answers. But some of this is just hard to wade through. What are we grateful for when our oppositionally defiant drug addict teenager just won't get it? How do we keep the focus on our own gratitude, when he keeps relapsing? And now I am reminded again of what Ed B http://relapse-psst.blogspot.com/2007/07/if-addict-is-going-to-relapse-there-is.html said at our Greentree meeting about a month ago. He asked himself what it was that he owed his son, who also struggles with this disease of addiction. He only came up with three things. First: unconditional love. As Ken mentioned at a recent meeting, this really means that one refuses to withhold love in an effort to control his addicts drug abuse. Second: Responsibility. I like to think of this as accountability. The parent refuses to enable his son out of the consequences of his addicition. Consequenes help us learn. We learn from failure in a much more effective way sometime than we learn from success. So, a Parent allows their child to fail especially if he is active in his drug addiction. Third: lead by example. Indeed, demonstrating a good example of a healthy person in pursuit of happiness is a gift to your child. A gift that by the way, may keep giving long after you are dead, because we never really forget our parents and we study them with an intensity that we usually do not show for other people. This last is where we can demonstrate gratitude. It is so much more powerful to be grateful and to show your teenager that you are grateful for whatever your blessings are, than it is to motivate them to be grateful by lecture or talking them into it. As Mary pointed out, Gratitude is contagious. So, is a lack of gratitude. They are both contagious. Let's decide which we want to attempt to pass on to our teenagers. And then let's get moving. We have today. Tommorow isn't promised. Either we might not be here- or our teenager might not be here. If you have read all this, you may be saying "that's easy for you to say, you don't have the cross that I have to bear." Well, you don't know the other person's cross though do you? We all have them. They just come in different forms. Anyhow, let me close this by telling one really big thing that I am grateful for. YOU. All of you. all of you have taught me so many things in our meetings and outside of our meetings too. As your child's Probation Officer I keep learning off of you all daily. People sometimes ask me why I choose to work every Saturday morning when I don't have too. They might not understand. I love going to work on Saturday Mornings. It's the best part of the week, and I am very lucky to get to work with all of you wonderful people. You are all the best- you are my heroes. You toil endlessly to save your children's life. What better thing is there to do? Yes, they pay me- but if money was no object- I would do this just for fun and for personal growth. So, to all of you terrific parents out there- thanks.